Colleges and universities should embrace the concept of increased openness in the use and sharing of information to improve higher education. That is the core recommendation of this report. The report was produced by CED's Digital Connections Council (DCC), a group of information technology experts that advises CED's business leaders on cutting-edge technologies. 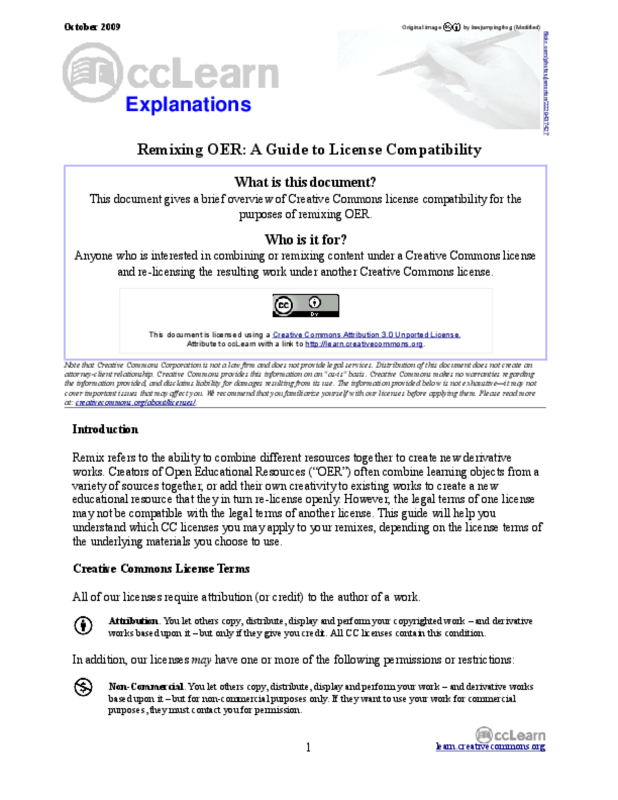 This document gives a brief overview of Creative Commons license compatibility for the purposes of remixing OER. 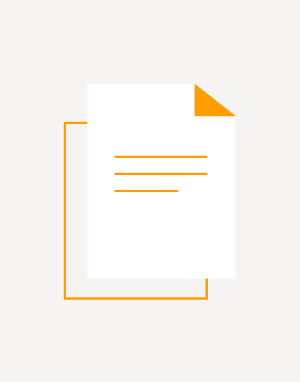 This paper seeks to provide an overview of the problem posed by the incorporation of materials protected by all-rights-reserved copyright, or that are not legally compatible with the copyright terms of materials offered to users, into otherwise open educational resources. This paper also describes a number of approaches to resolving this issue, including the reliance on jurisdictional copyright exceptions and limitations, and explores the trade-offs involved in adopting any one of these approaches. This paper also suggests areas for further empirical research into these issues. Users of search tools who seek educational materials on the Internet are typically presented with either a web-scale search (e.g., Google or Yahoo) or a specialized, site-specific tool. The specialized search tools often rely upon custom data fields, such as user-entered ratings, to provide additional value. As currently designed, these systems are generally too labor intensive to manage and scale up beyond a single site or set of resources. However, custom (or structured) data of some form is necessary if search outcomes for educational materials are to be improved. For example, design criteria and evaluative metrics are crucial attributes for educational resources, and these currently require human labeling and verification. Thus, one challenge is to design a search tool that capitalizes on available structured data (also called metadata) but is not crippled if the data are missing. This information should be amenable to repurposing by anyone, which means that it must be archived in a manner that can be discovered and leveraged easily. In this paper, we describe the extent to which DiscoverEd, a prototype developed by ccLearn, meets the design challenge of a scalable, enhanced search platform for educational resources. We then explore some of the key challenges regarding enhanced search for topic-specific Internet resources generally. We conclude by illustrating some possible future developments and third-party enhancements to the DiscoverEd prototype. Education systems today face two major challenges: expanding the reach of education and improving its quality. Traditional solutions will not suffice, especially in the context of today's knowledge-intensive societies. 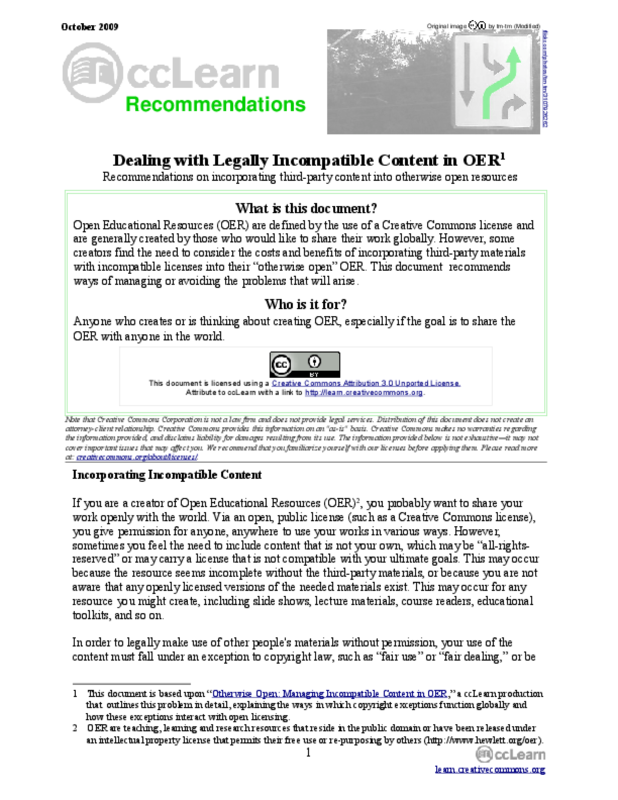 The goal of the Open Educational Resources (OER) movement is to equalize access to knowledge worldwide through openly and freely available online high quality content. UNESCO has contributed to building awareness about this movement by facilitating an extended conversation in cyberspace. Over a two-year period, a large and diverse international community discussed the concept and potential of OER in a series of online forums. The background papers and reports are now available in print. Open Educational Resources: Conversations in Cyberspace provides an overview of the first steps of this exciting new development: it captures the conversations between leaders of some of the first OER projects, and documents early debates on the issues that continue to challenge the movement. The publication will provide food for thought for all those intrigued by OER -its promise and its progress. Open Educational Resources: Conversations in Cyberspace is UNESCO's first openly licensed publication - an indication of the commitment of the Organization to the sharing of knowledge and the free flow of ideas.